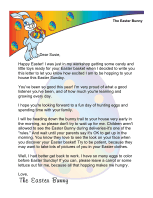 Put the Easter egg hunt money in the eggs before hiding them and keep the prizes on the table. When the children have found the money, let them spend it on the items they like. 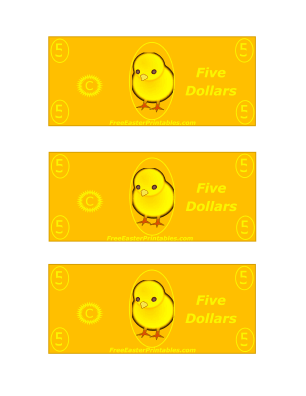 This bill is yellow and has a picture of a chick; it's worth five pretend dollars.